Azerbaijan and Russia discussed the possibility of supplying Russian oil to the STAR refinery in Turkey, owned by SOCAR, the Azerbaijani state company, according to Azerbaijani news agency Trend on March 18. Trend said that Azerbaijan’s Energy Minister Parviz Shahbazov and Russian Energy Minister Alexander Novak discussed the issue in Azerbaijan’s capital Baku, where the parties agreed to sign a memorandum of understanding to strengthen and further develop cooperation. The meeting was held as part of and in advance of a meeting of the joint OPEC and non-OPEC Ministerial Monitoring Committee (JMMC) in Baku. The opening ceremony for the $6.3 billion STAR facility, located in the Aliağa peninsula in the Aegean province of Izmir, was launched on Oct. 19, 2018 in which Turkey’s President Recep Tayyip Erdoğan and Azerbaijan’s President Ilham Aliyev attended. The facility when fully operational will produce around 5 million tons of diesel, 1.6 million tons of jet fuel, 1.5 million tons of naphtha, 1 million tons of reformate, 700,000 tons of petroleum coke, 300,000 tons of LPG and 200,000 tons of sulphur. 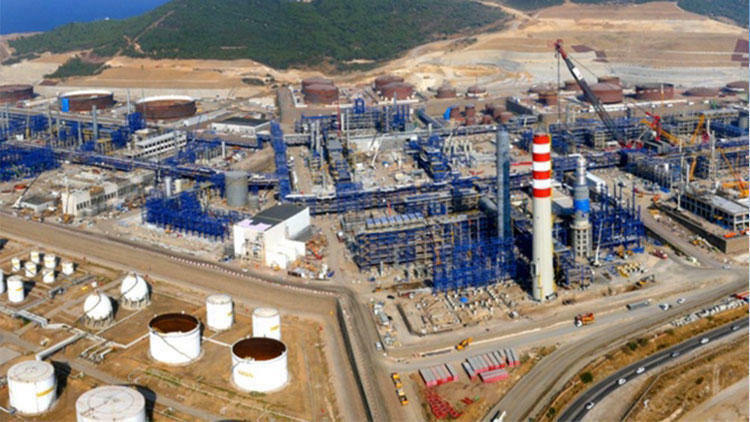 The total output of STAR is expected to decrease Turkey’s current account deficit by $1.5 billion per year, by substituting refinery imports with domestic production.